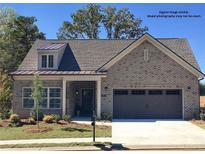 Find Cramerton, NC New Homes for sale. View Photos, Maps and MLS Data Now! Tons of storage space in unfinished bonus room. MLS#3487095. TLS Realty LLC. Spacious screen porch provides additional entertainment! MLS#3476770. TLS Realty LLC. 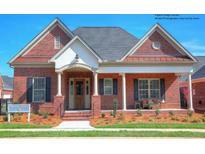 Nicely appointed throughout with fresh two tone paint, upgraded flooring, and MORE! MLS#3472992. TLS Realty LLC. 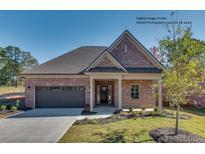 Nicely appointed throughout with fresh two tone paint, upgraded flooring, and MORE! MLS#3472627. TLS Realty LLC. You really need to come and see this one for yourself. MLS#3450577. Allen Tate Gastonia. Bonus room on the upper level. This ranch is a dream! MLS#3450595. Allen Tate Gastonia. Don't miss out this community is selling fast! MLS#3422698. Plowman Properties LLC. Don't miss out this community is selling fast! MLS#3422692. Plowman Properties LLC. Don't miss out this community is selling fast! MLS#3422087. Plowman Properties LLC. Don't miss out this community is selling fast! MLS#3422091. Plowman Properties LLC. Don't miss out this community is selling fast! MLS#3422099. Plowman Properties LLC. Don't miss out this community is selling fast! MLS#3422067. Plowman Properties LLC. Don't miss out this community is selling fast! MLS#3422045. Plowman Properties LLC. Don't miss out this community is selling fast! 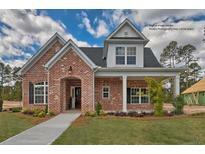 MLS#3421922. Plowman Properties LLC. Don't miss out this community is selling fast! MLS#3422061. Plowman Properties LLC. Please note Square Footage is based on plans and blue prints. MLS#3412639. BSI Builder Services. Home constructed w/innovative GREEN features -HERS rating 27! Net Zero Energy Ready. MLS#3367758. Allen Tate Gastonia. Won’t last long! Schedule an appointment today! MLS#3361822. BSI Builder Services. Relaxed and social lifestyle awaits you! MLS#3359296. RE/MAX Executive. These statistics are updated daily from the Carolina Multiple Listing Services, Inc. For further analysis or to obtain statistics not shown below please call Highgarden Real Estate at 704-705-8841 and speak with one of our real estate consultants.